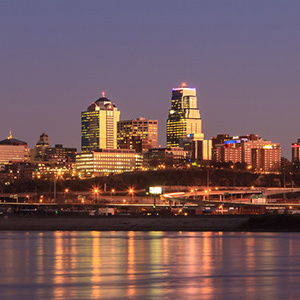 The American Society of Nuclear Cardiology kicks off their 22nd Annual Scientific Session in Kansas City, Missouri. ASNC 2017 will be held from September 14th through the 17th at the beautiful Sheraton Kansas City Hotel at Crown Center. This year’s highly interactive programming will provide specialized physicians, scientists, technologists, nurses, and many others professionals from around the world with the latest information on nuclear cardiology, its emerging trends and techniques. The specialized curriculum will review cutting edge scientific advances and provide opportunities to learn from the most experienced and well-respected educators in the nuclear cardiology and cardiac imaging industry. Alongside workshops, lectures, panel discussions, Read with the Experts sessions, and Great Debates, this year’s Scientific Session will also include a lab Boot Camp, which will be critical in helping to strategically position your lab for long-term success, and all-new interactive workstation sessions. In addition, you’ll find an Exhibition Hall packed with the industry’s most advanced technology and quality services. Digirad is pleased to announce that we will be showcasing the Cardius® X-ACT+ dedicated cardiac SPECT imaging system with Attenuation Correction and debuting information on our Cardiac PET service program at this year’s meeting. Take a minute to stop and visit us at Booth 212. We’d love to see you!